We are one of the leading manufacturers and suppliers of Chemical Storage Tanks that are used for storing different liquids and chemicals. 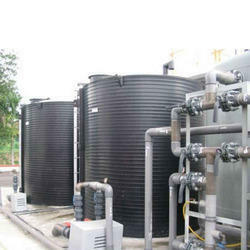 Robust in design, these tanks are known for leak proof, immune to corrosion and low maintenance. We also customize these chemical storage tanks as per the client’s specific requirements. Chemical Storage Tanks Plastic Tanks are our biggest tank category.Whether your Chemical Storage Tank needs involve a small day tank, a larger nurse tank or a very large bulk storage tank, the chemical storage tanks from Bailiff Enterprises can satisfy your needs.We can modify our chemical storage tanks as needed. Our company manufactures HDPE Chemical Tank that can be used for storage of many different dangerous liquids including- the liquid detergents, Leak proof ferric sulphate, ferric chloride, aluminium sulphate, hydrochloric acid, hydrogen peroxide, sulphuric acid, nitric acid and sodium hypochlorite. In addition to the less hazardous liquids like that of water, dyes & bleaches, ciders, beers and wines. 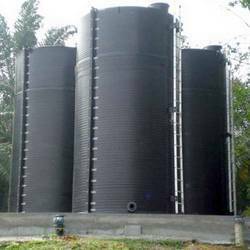 Available in different shapes such as vertical, horizontal and rectangular, these tanks can also be customized as per clients’ requirement. we offer an exceptional range of Conical-Bottom Tanks that are valued for high strength and have excellent quality. Our entire product range is sturdy in construction and is delivered in varied standard grades and dimensions. They are resistant against adverse climatic conditions and are delivered in well-defined time.